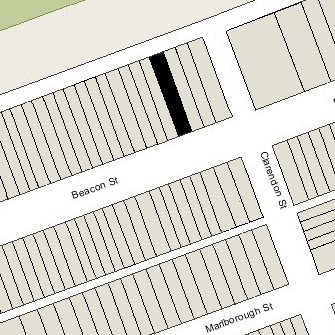 188 Beacon is located on the north side of Beacon, between Clarendon and Dartmouth, with 186 Beacon to the east and 190 Beacon to the west. 188 Beacon was built in 1864-1865, one of a pair of houses (188-190 Beacon), the two houses unified by a single mansard roof above a dentil cornice, but each with a distinct façade. 188 Beacon is 25 feet wide and has an octagonal bay to the west with the entrance to the east;190 Beacon is 20 feet wide and has a bow front and central entrance. In his Houses of Boston’s Back Bay, Bainbridge Bunting does not attribute 188-190 Beacon to a specific architect. However, an August 19, 1865, article in the Boston Daily Advertiser indicates that they were designed by architects Snell and Gregerson. The land for 188-190 Beacon was purchased by Frederic Grand d’Hauteville in December of 1862 through three transactions that combined a 6 foot lot on the east purchased from William Craig Wharton (part of a 30 foot lot he had purchased from the Boston and Roxbury Mill Corporation on March 11, 1861), a 22 foot lot purchased from Horace Gray, Jr. (which he had purchased from the Mill Corporation on March 28, 1861), and a 17 foot lot on the west purchased from George Otis Shattuck (who had purchased it from the Mill Corporation on April 5, 1861). Frederic Grand d’Hauteville sold the 20 foot lot to west to Thomas F. Cushing. He retained the 25 foot lot to the east where he had 188 Beacon built. Click here for an index to the deeds for 188 Beacon. Frederic Sears Grand d’Hauteville was the son of Ellen (Sears) d’Hauteville, the estranged wife of Paul Daniel Gonsalve Grand d’Hauteville of Switzerland. Soon after Frederic d’Hauteville’s birth, his parents had separated and his mother returned to the United States, engaging in a highly publicized, multi-state effort to prevent her husband from visiting or gaining custody of her son. Frederic Grand d’Hauteville married in June of 1863 to Elizabeth Fish, daughter of Hamilton Fish of New York, and 188 Beacon probably was intended to be their Boston home. She died in March of 1864, and on June 14, 1864, he sold the land “upon which a dwelling house is now erecting” to James Leeds, Jr. The construction was completed in the latter part of 1865, the August 9, 1865, Advertiser article noting that the workmen were “putting on the ‘finishing touches’” and it would be “ready for occupancy inside of three months.”. James Leeds, Jr., and his wife, Mary Elizabeth (Fearing) Leeds, made 188 Beacon their home. He was a merchant. They previously had lived at 82 Boylston. At the time of the 1870 US Census, James Leeds’s first cousin, Abby Cheever (daughter of his mother’s sister, Julia (Corey) Cheever, and her husband, William Cheever), was living with them. James Leeds died in March of 1875. Mary Leeds continued to live at 188 Beacon until about 1877. During the 1877-1878 winter season, it was the home of retired druggist William Gardiner Prescott and his wife, Josephine Augusta (Peabody) Prescott. They previously had lived at the Hotel Vendôme. They also maintained a home in Pepperell, Massachusetts. They had moved to 174 Beacon by the 1878-1879 season. During the 1878-1879 and 1879-1880 winter seasons, 188 Beacon was the home of commission merchant John Prince Bayley and his wife, Lola (Traub) Bayley. They subsequently traveled to Europe, where he died, in Nice, France, in December of 1880. By mid-1880, at the time of the US Census, Mary Leeds was living at 188 Beacon once again. Her son, Herbert Corey Leeds, lived with her. He later would become a noted yachtsman, author, and designer of golf clubs. During the 1882-1883 winter season, Mary Leeds and Herbert Leeds were traveling in Europe and 188 Beacon was the home of dry goods merchant and importer Joseph Swain Lovering and his wife, Mary (Taylor) Lovering. They had lived at 121 Beacon in 1881. By the 1883-1884 season, they had moved to 191 Beacon. Mary Leeds and her son continued to live at 188 Beacon during the 1884-1885 winter season, but moved thereafter. 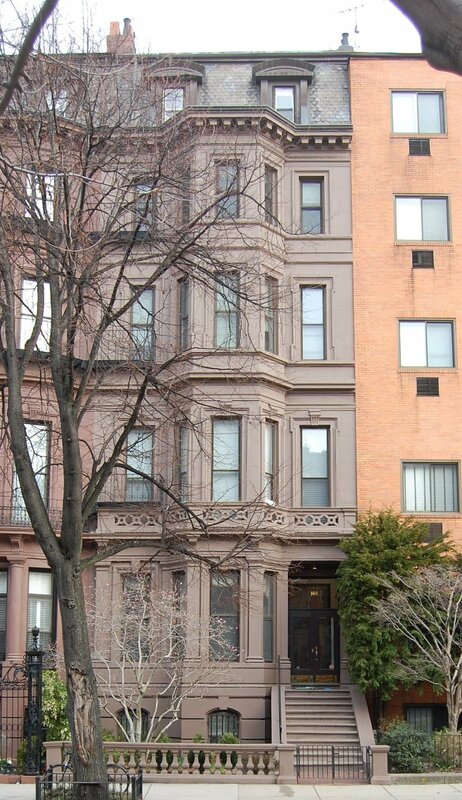 By the 1887-1888 season, they were living at 357 Beacon. On April 30, 1885, 188 Beacon was acquired from James Leeds’s estate by Dr. Edward Wigglesworth. He and his wife, Sarah Willard (Johonnot) Frothingham Wigglesworth, made it their home. They previously had lived at 37 Fairfield. They also maintained a home in Jackson, New Hampshire. 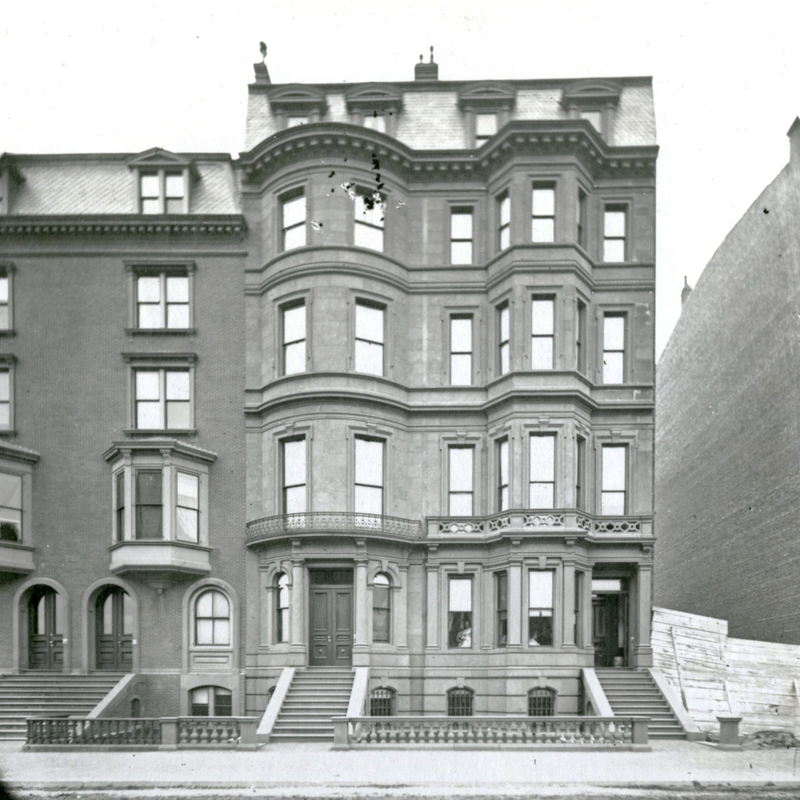 Edward Wigglesworth was a dermatologist and maintained his medical offices at 188 Beacon. He died in January of 1896. Sarah Wigglesworth continued to live at 188 Beacon until her death in November of 1928. She also maintained a home in Manchester. 188 Beacon was not listed in the 1929-1933 Blue Books and was shown as vacant in the 1930-1932 City Directories. On December 26, 1930, 188 Beacon was acquired from Edward Wigglesworth’s heirs by Walter Howard Gleason and his wife, Mabel W. (Robertson) Gleason. They lived at 183 Beacon and also maintained a home in Bass River, Massachusetts. In March of 1932, the Gleasons applied for (and subsequently received) permission to convert 188 Beacon from an single-family residence into a lodging house. They apparently changed their plans and did not convert the property to a lodging house; instead, by 1934, after the remodeling was completed, they made 188 Beacon their home (as a single-family dwelling). Walter Gleason died in May of 1940. 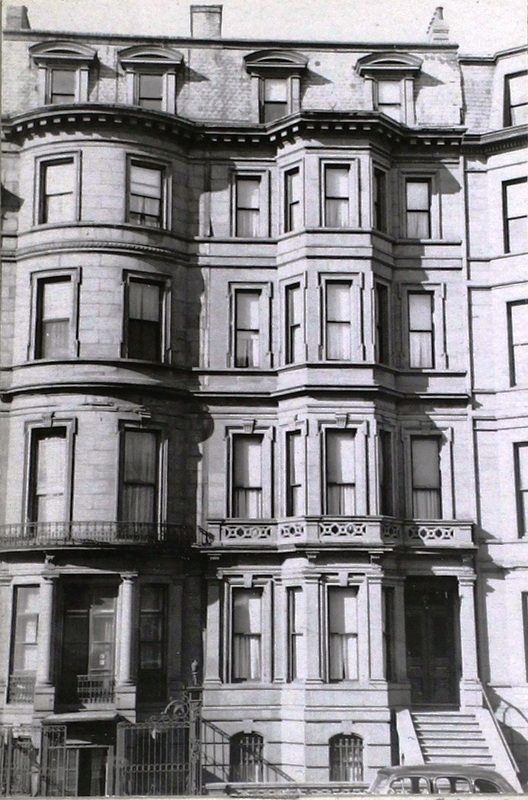 Mabel Gleason continued to live at 188 Beacon, joined by her son, Carl Herbert Gleason, an insurance broker, who previously had lived in Brighton. He had divorced in May of 1940 from Esther Louise (Swanson) Perkins Gleason, from who he had been separated for several years. On January 18, 1943, Mabel Gleason transferred 188 Beacon to herself and her son, Carl. In July of 1945, Mabel Gleason filed for (and subsequently received) permission to build a one-story, three car garage at the rear of the property. She died in September of 1947 and, in December of 1947, her estate filed for (and subsequently received) permission to convert the house from a single-family dwelling into a lodging house. In March of 1948, her estate further filed for (and subsequently received) permission to convert it into five apartments and a lodging house. On November 22, 1950, 188 Beacon was purchased from Carl Gleason by Bertram L. Bromberg and his wife, Ann (Insoft) Bromberg, of Brookline. On January 17, 1951, 188 Beacon was acquired from Bertram and Ann Bromberg by Albert Zimmerman. In February of 1951, he applied for (and subsequently received) permission to convert the property from five apartments and a lodging house into twelve apartments. On January 14, 1953, he transferred it to the Zimmerman Realty Company. On May 31, 1962, 188 Beacon was acquired from Zimmerman Realty by the Wendell Realty Corporation (Herbert Levin, president). On July 1, 1964, 188 Beacon was acquired from Wendell Realty by real estate dealer Edward L. Britt and his wife, Ann M. (Lynch) Britt. In June of 1964, before taking title to the property, he filed for (and subsequently received) permission to remodel the garage into an apartment. The property changed hands and was acquired on June 30, 1977, by Nubar Hagopian. On October 7, 1981, he transferred it to the 188 Beacon Street Corporation. In October of 1981, it filed for (and subsequently received) permission to reduce the number of units from twelve to six, and also to remodel the garage back from an apartment into a two-car garage. 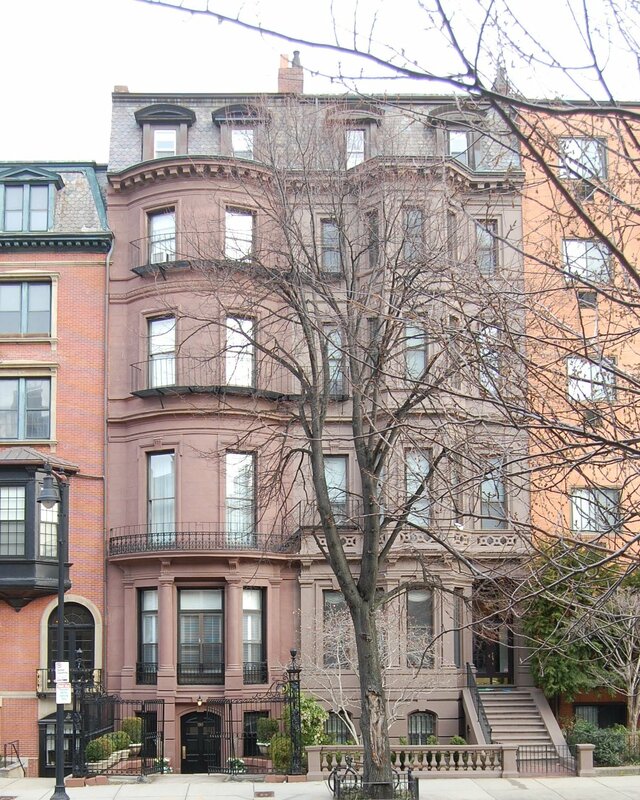 On March 15, 1982, the 188 Beacon Street Corporation transferred the property back to Nubar Hagopian as trustee of the NU Realty Trust, and on May 28, 1982, he converted it into six condominium units, the 188 Beacon Street Condominium.